Shawn has served as a Financial Advisor since 2000 and has loved the combination of personal interaction with clients and in-depth analysis of the financial markets. He provides sound advice on a vast array of client situational needs always cognizant of costs and risks involved in executing strategic financial choices clients face as they plan for the future. Having endured two major market recessions, his role at FWA is to identify market trends and assess where values and risks exist therein. Shawn went to one of the Midwest's top business schools at University of Wisconsin - Whitewater specifically to obtain a BBA-Finance degree to prepare him for a successful career in financial services. He also obtained a Spanish minor degree to keep his mind and communication abilities at a worldly level. 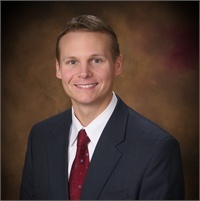 He spent the first 8 years of his career building a successful practice with regional brokerage firm Edward Jones before joining Rozman Wealth Management in mid-2008, where he continued his growth as a professional and to expand the services he could offer to clients which included discretionary management of most client accounts. The transition turned out to be a very successful move as Shawn was able to craft a conservative model portfolio as an option for his clients just before fall of 2008. Since then he has built several other model portfolios to accommodate various time horizons and risk tolerance levels of clients. In his free time, Shawn is known to stay physically active, attend many live musical performances, and travel to the farthest reaches of the globe crossing off bucket list items as he goes. He's nearly fluent in Spanish and takes every opportunity to practice both here and abroad. He's been to every continent at least twice except Asia and Antarctica but the travel that Shawn is most proud of is his annual mission trip to Nicaragua where he and some of his closest friends build homes for needy families in a slum in Chinandega, paid for completely by donations raised here locally. The mission trips have paved the way for a deeper commitment to volunteerism and service to his fellow man, but also spiritually as he was recently baptized in the waters of Lake Michigan. One word that means a lot to Shawn is "Kaizen" which is Japanese for constant improvement. He takes a lot of pride in improving the things in life he's already interested in and constantly looking for new ways to challenge himself. Recently that's translated to taking classes in salsa/meringue, learning to play guitar, and practicing yoga. His great, great grandfather was born on July 4th 1840 on the Atlantic on the way to the US from Bavaria, Germany and is buried here in Milwaukee.